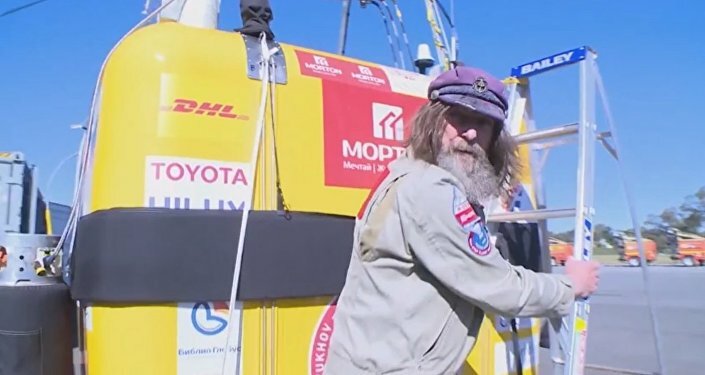 MOSCOW (Sputnik) - Record-breaking Russian adventurer Fyodor Konyukhov is planning to descend to the bottom of the Mariana Trench in a submersible which will be specially built for the project by the United Shipbuilding Corporation (USC), the head of Konyukhov’s expedition staff Sergei Sergeev told reporters Monday. "Fyodor Konyukhov is planning to descend to the bottom of the Mariana Trench on a bathyscaphe, which the USC will try to build for him. It is now being discussed," Sergeev said. In August 2017, Russian scientist-oceanographer and polar explorer Artur Chilingarov said that he and Konyukhov were looking for a company to build a three-person submersible to reach the deepest point of the ocean – the bottom of the Mariana Trench. The first manned descent into the Mariana Trench, which is 36,070 feet deep, was successfully attempted by Don Walsh of the United States and Jacques Piccard of Switzerland who reached the deepest point of the Trench, Challenger Deep, aboard the Bathyscaphe Triest in 1960. James Cameron, a world-famous director, repeated their success in 2012 becoming the first person to reach the Challenger Deep on his own.